I picked up these "eggs" at Walmart yesterday. Well, when I picked them up, they looked like this. They were kind of egg shaped ping pong balls, just oozing potential. I began by painting them with a mixture of ASCP Pure White and Provence. Then, I applied some Cire A Dorer Gilding Wax with a damp, wadded up paper towel. Looking for more inspiration? 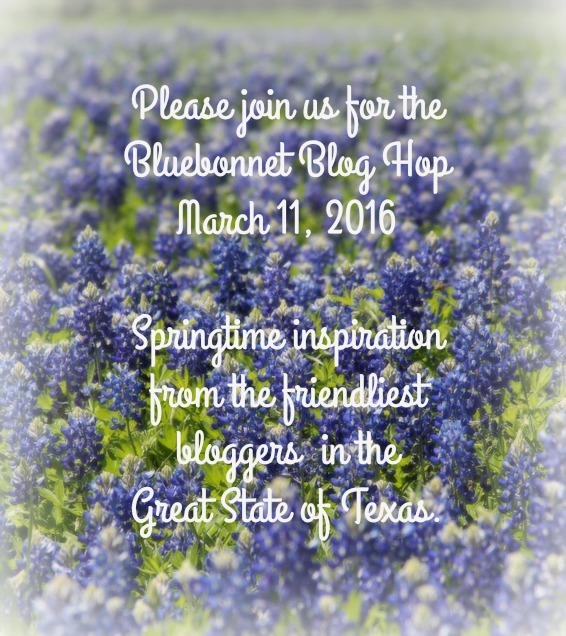 I'm looking forward to participating in the Bluebonnet Blog Hop next week. 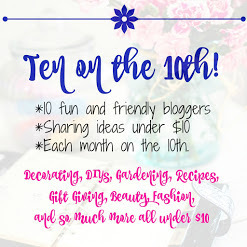 Come see how Texas bloggers are welcoming Spring. Your eggs really look gorgeous! You did a beautiful job springifying them! 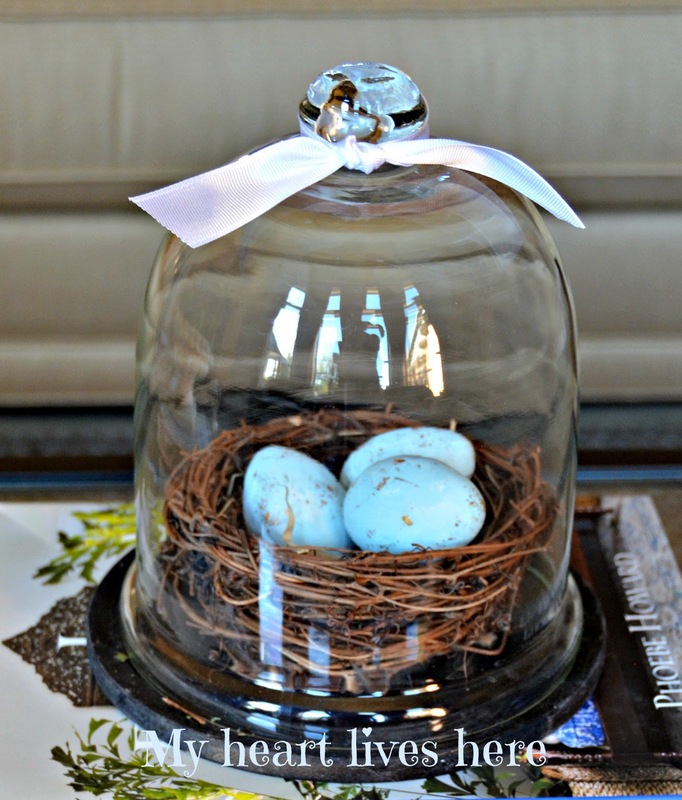 What a great idea to gild your eggs. You have my mind's wheels a-turning now. Hi Eilis, Oh I love this project, the eggs turned out picture perfect! A basket full of spring eggs. I need to get busy, thanks for the inspiration. Hope you'll join us for Thoughts of Home on Thursday. Where do you get the guilding wax? 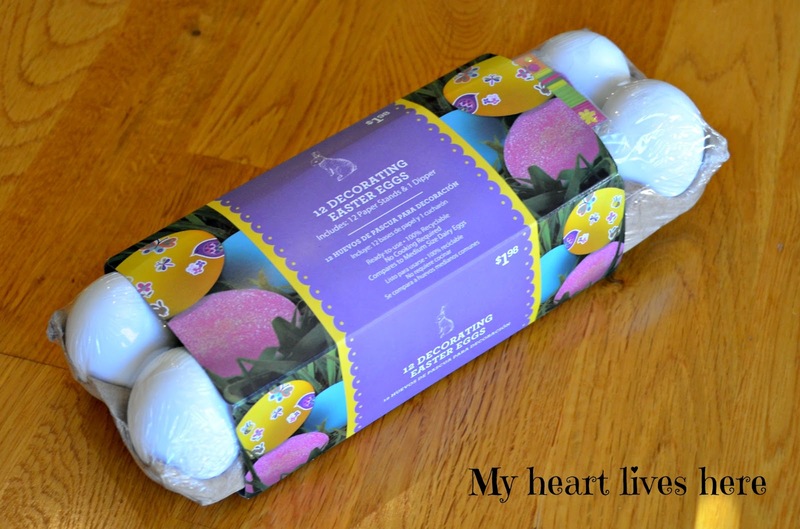 I bought this wax when I was buying Annie Sloan Chalk Paint from The Purple Painted Lady online for another project. I'm sure other brands at places like Hobby Lobby would be the same. Do you know how much I love these! I saw them on IG, and oohed and awwed then too. Thank you so much for sharing them with us today at Thoughts of Home on Thursday! Oh I love how they turned out Eilis! 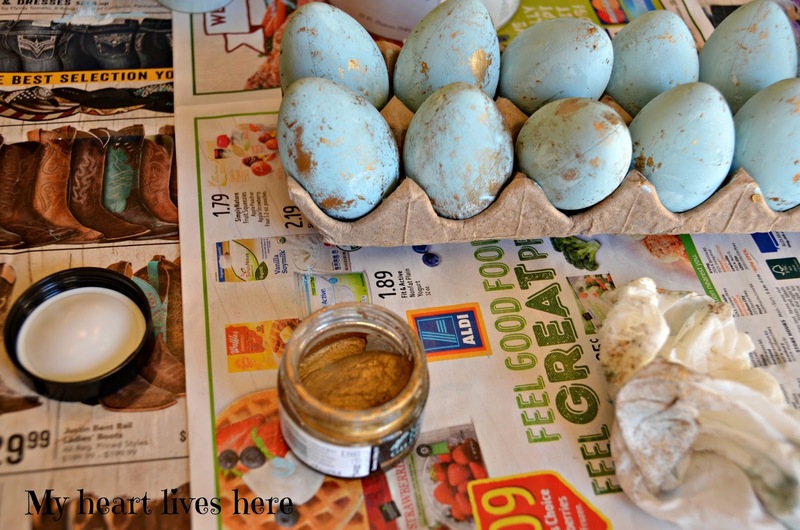 I picked up a package of those eggs at a thrift shop and put them in the playhouse for my grands. Hmmm, wonder if they'd notice if they went missing. lol! Thanks for sharing with SYC. I am so glad you shared this project at TOHOT #4. I love the Provence paint color. What a timely post, I have a carton of eggs left from last year! 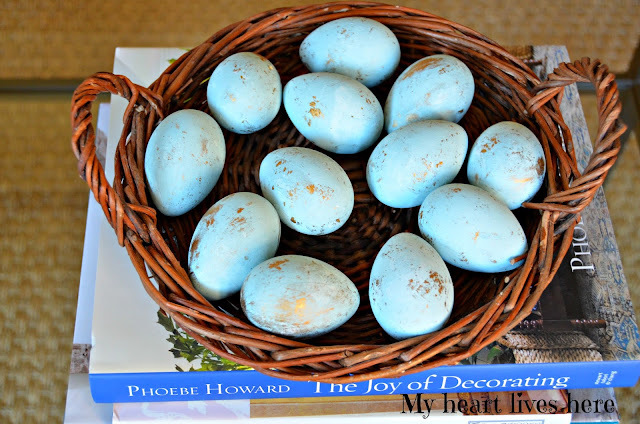 ♥ your beautiful eggs...such a beautiful shade of blue. Gorgeous!!! I'm getting out my gilding gel right now! 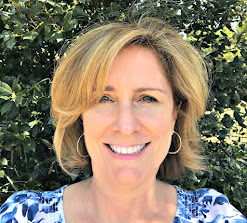 And thanks for sharing on Dishing It & Digging It!! This is a really gorgeous project! I love your cute eggs! Thanks for sharing great tutorial! 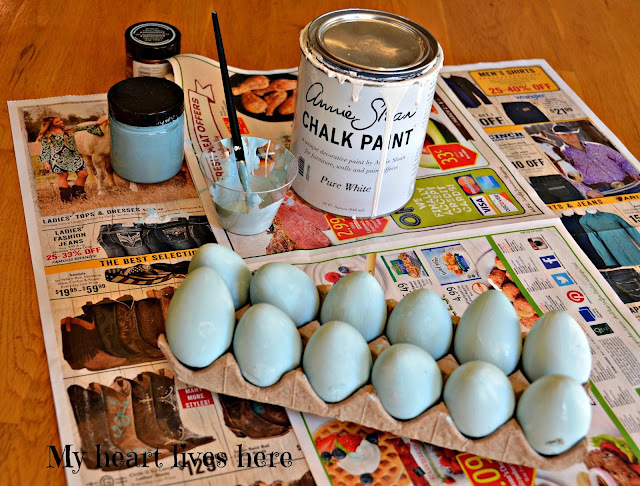 Chalk paint looks great on those eggs! Thanks for joining Home Sweet Home! Delightful eggs. So creative and very pretty. I love ideas like this that are completely doable! Perfect timing too since I am going to Walmart tomorrow! 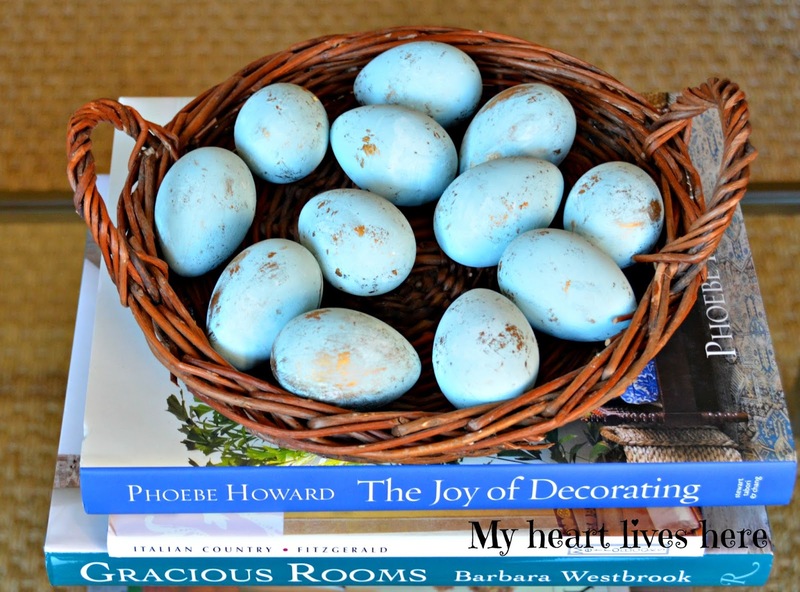 Just loved your eggs so much that you've been featured on Dishing It & Digging It this week. Hope you'll head over to the blog to see it and share what you've been up to.